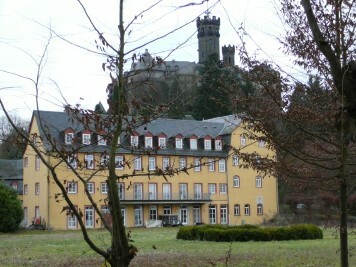 Darshan takes place at Mother Meera’s Darshan Hall at the foot of Schloss Schaumburg (see map), which is situated in the village of Balduinstein, 10 km south-west of the medieval city of Limburg, overlooking the picturesque Lahn River valley. One can only come to one Darshan a day. To register for Darshan, please click here > >.